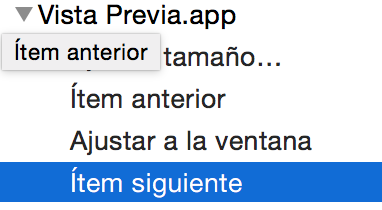 Despite both texts look the same (and therefore I should be able to override the default shortcut) the custom shortcut doesn't get assigned (it did in Mavericks!). My guess is that it stopped working because Yosemite uses a different unicode combination for the first letter. How can I figure out the correct unicode sequence so that the keyboard shortcut is assigned properly? It looks like the only change is the back/forward keyboard shortcuts. Or maybe my Spanish is not up to the snuff. I am not sure why would you try to make keyboard shortcuts that already exist. 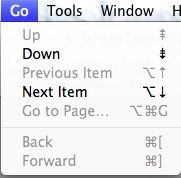 But see this info: What do I type to produce the command symbol (⌘) in Mac OS X? Not the answer you're looking for? Browse other questions tagged yosemite keyboard shortcut shortcut-menu . How to disable default keyboard layout shorcut in OS X 10.8? 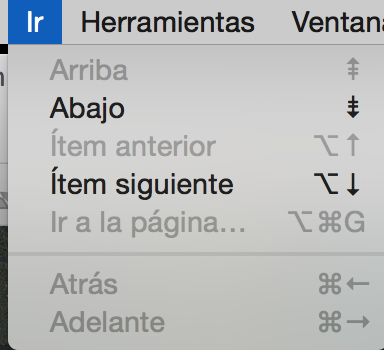 How to define a (ideally: global) keyboard shortcut for a particular letter plus diacritic? keyboard shortcut is driving me crazy, how do I get rid of it?